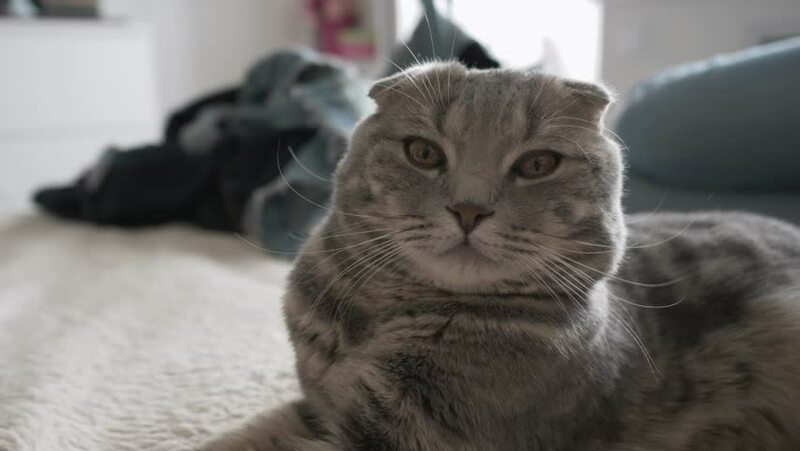 Gorgeous curious scottish fold grey tabby cat enjoying napping on bed in cozy apartments. hd00:19Slow motion footage of a beautiful cat looking into the camera as other cats wander in the background. hd00:09A beautiful cat looks into the camera as other cats wander in the background. hd00:58Petting a beautiful cat at home in slow motion - All love baby!